The United States has its own currency, the US dollar. This means that it has full control over its own monetary policy. Monetary policy is generally governed by the Federal Reserve, which can set its own interest rates and expand or contract the money supply at will. The Federal Reserve board is appointed by the federal government–the president nominates people to the board and they are confirmed by the senate. The Fed’s mandate and structure can also be changed via legislation. So there are ways for a determined president and cooperative congress to control the Fed. It’s also possible for the government to use a loophole in an old piece of legislation to directly mint coins of any value. This was discussed back in 2013 as a possible way to circumvent the House Republicans in the debt ceiling fight. So there’s no doubt that the government could print a bunch of money and use it to pay down its debts. 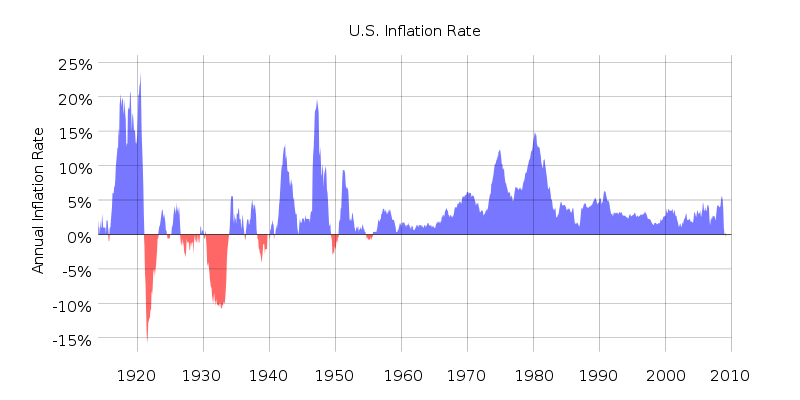 But you may be wondering about inflation–wouldn’t printing a lot of money lead to hyperinflation? This is an oversimplification. Printing money can lead to inflation, but only when the economy is operating at capacity. When the economy is operating below capacity, printing money acts as stimulus and may not have any direct effect on inflation at all. Nothing happened to inflation because the banks did not lend or spend enough of the money they were handed to restore the economy to full capacity, and the federal government neglected to do further stimulus after 2010, despite low borrowing costs facilitated by the Fed’s QE. Inflation only happens when the demand for goods and services outstrips supply, resulting in price increases. 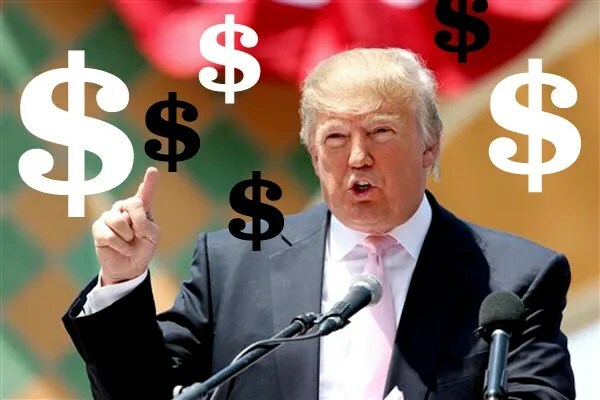 Because the newly created money stayed predominately in the hands of financial institutions and because the government elected to reduce spending as a percent of GDP after 2012, this money did not filter down into the hands of consumers. Consequently it did not produce an overwhelmingly large increase in demand and so failed to generate inflation. It is possible for a QE program to be designed specifically to shrink the size of the government’s debt. The Fed could buyback a large amount of outstanding debt from the private sector and forgive it, or the treasury could mint trillion dollar coins (yes, like they do in The Simpsons), buy the debts back itself, and cancel them. In both these scenarios the people holding the debt are repaid with newly printed money. Inflation only results if the bond holders go out and lend this money to American consumers or spend this money in America in such large numbers that demand outstrips supply. Additionally, a little bit of inflation helps the government reduce its debt burden, because inflation reduces the size of the outstanding debt in real terms. So if the government were to embark on this sort of policy, it might be happy to raise the inflation rate slightly to 4%, the “high inflation target” that economists like Paul Krugman have been recommending for years. So we know that the government can cancel some amount of debt by printing money without creating inflation–it has already cancelled $500 billion in this way while many of us were not paying attention. The only question is how much debt it can eliminate by printing over a short time frame without generating above-target inflation. Your answer to that question is going to depend on how close you think the economy is to capacity and whether or not you think the current bondholders are likely to lend and spend the money they receive from the government in the United States. If they sit on the money or lend and spend it abroad, they would not generate inflation in the United States. So it’s very clear that government debt need not be repaid in full. Everyone knows inflation and growth can eat debt in the long-term and that printing can eat some amount of debt in the short-term. The question is how much debt can we eat via printing in the short-term without getting an inflation rate that is higher than we’re willing to accept. It’s a very interesting question and it’s difficult to debate because we do not have much empirical evidence. But what we do know from the experience of QE is that at least under current conditions very large amounts of money can be printed with no impact on inflation as long as large amounts of that money do not get lent or spent domestically. To be clear once again, I think Trump’s tax plan is totally mad and I have no confidence that he knows how to run an economy. But on this point he’s correct, and we ought to give credit where it’s due.